With over 75 years of combined experience, Andrew Tenaglia, Brian Russell and Steve Boero founded Rubicon Advisors to fully meet their clients’ needs. Since 2012, the firm has been dedicated to helping clients find clarity in their financial lives. As a team Andrew, Brian and Steve have developed lasting strategies that liberate their clients from the stress of doing it on their own. 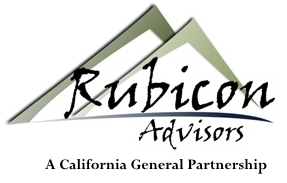 At Rubicon, we are committed to a collaborative process with our clients. We will work tirelessly to develop an investment strategy that addresses your specific goals.